What makes Fearless Brands fearless? Fearless Branding is more than a catchy name. Our work is based on a clearly defined philosophy and proven methods that produce results for clients. Fearlessly define your competitive advantage. If you want to attract the exact right clients for your business, you need a strong market position. And you need to express it simply, clearly and powerfully. That’s what building a Fearless Brand will do for you. 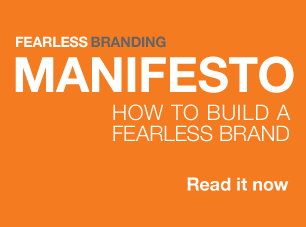 Read the FEARLESS BRANDING MANIFESTO to find out how to do it.